Los Angeles (AFP) - Mexican star Saul "Canelo" Alvarez and Danny Jacobs will put their world middleweight titles on the line in a May 4 unification bout, the fighters confirmed on Thursday. Alvarez, who defeated Gennady Golovkin in a rematch last September, is the reigning WBC and WBA middleweight champion. Jacobs holds the IBF version of the 160-pound title. Both fighters confirmed the unification bout via statements on social media. Although Jacobs said the fight would take place in Las Vegas, the venue had not been officially confirmed, US media reports said. Confirmation of the fight leaves former champion Golovkin facing a wait until the second half of 2019 before there is any chance of a third fight with Alvarez. Alvarez (51-1-2, 35 knockouts) said in a statement the fight against Jacobs will leave him one step closer to becoming the undisputed king of the middleweight division. If Alvarez defeats Jacobs, it will only leave WBO champion Demetrius Andrade standing between him and his goal of taking all four belts. "I have no doubt that I will be victorious and that I'll be one step away from becoming the undisputed middleweight world champion," Alvarez said in a statement to ESPN. 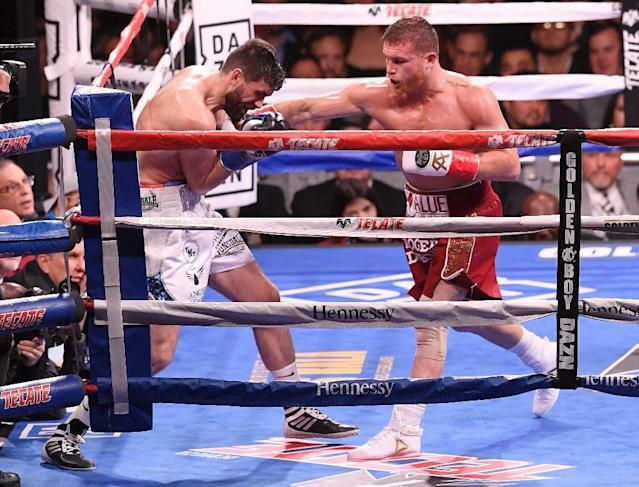 Alvarez has already fought once since wresting away Golovkin's titles with a narrow decision last September, beating super-middleweight Rocky Fielding in New York in December. Jacobs, who has signed a three-fight deal with streaming service DAZN -- who signed Alvarez to a record contract last year -- said in a statement he is confident of springing a surprise. "I have always believed I can beat Canelo, and on May 4 live on DAZN, I will get my chance to play it out," Jacobs said. "It's been nearly four years since Canelo has faced an American challenger. It's going to be a huge event where I believe I will cement myself as the best middleweight in the division."